On July 24, 2002, a Public Storage complex in Florence, Ky., suffered a disaster when a fire burned a 200-foot concrete and metal building of 52 units, 39 of which were rented. Tenant Mike Hermes, 38, of Taylor Mill, Ky., lost a baseball autographed by the entire 1975 Cincinnati Reds World Series team and family photographs of his deceased father. It was a random accident for which the risk could have been mitigated, but not 100 percent prevented. Peace of mind with regard to the security and protection of tenants' goods is one of the main value propositions offered by the self-storage industry. Much of the marketing communications disseminated by facilities' owners and managers is centered on access control, physical and electronic monitoring, and various forms of individual-unit locks and alarms. As part of the overall risk-assessment and management process, facility operators spend considerable time and resources defining and mitigating specific risks, such as facility and equipment hazards that can result in flooding; storage practices that increase the risk of fire; and periodic storms or tornados. This article focuses on the vital document-protection measures self-storage professionals can recommend to tenants. The question is, how can owners and managers better assure tenants they will not someday end up like the unfortunate Mr. Hermes? The most prevalent risk to vital records is fire, and most fire-protection measures (alarms, practice drills, sprinklers, etc.) are designed primarily for human-life safety. Vital-document and records protection is about mitigating loss and limiting property damage. Overall responsibility for vital records and document protection within a storage unit lies with the tenant. However, by increasing awareness of fireproof- container products, facility owners and managers can help tenants justify the decision to use self-storage to store nonreplaceable items they may have previously stored elsewhere. There is a growing trend toward do-it-yourself storage solutions, for many reasons--quicker retrieval, lower cost and increased control. While going with a specialized storage vendor is logical for business tenants who represent certain industries--such as financial services or healthcare--it is very costly; and at the end of the day, it's not financially feasible for most small business owners and individuals. There is one caveat to self-storing important documents. According to Mike Schofield, vice president of insurance at MiniCo Inc., which offers insurance programs to the self-storage industry, "Self-storage operators that specialize or have identified significant storage of papers and records within their facilities should possibly consider seeking legal counsel on drafting a disclaimer pertaining to this particular risk." 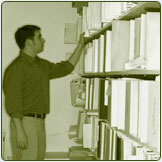 "Small business owners and individuals can easily emulate what a specialized records-storage company does," adds Rick Sorley, president of Safetyfile Inc. "All they need to do is set up a system with their individual unit using Underwriter's Laboratory (UL)-rated fireproof and fire-resistant file cabinets, containers, safes and filing systems. Many specialized records-storage facilities are billed as state-of-the-art; unfortunately, that usually means cardboard boxes in an open warehouse with a sprinkler system. The sprinkler system is the total protection of the records." Safetyfile is a distributor of fireproof files, safes and data safes. Scott Lancaster of Deans & Homer, a provider of property-insurance products, agrees with this assessment. "UL-rated fire resistant cabinets and safes may be considered cost-effective protection for both fire and water damage," he says. When providing information to a tenant storing vital records and documents, the first thing you should ask him to consider is what, exactly, is being protected. Fire-resistant file cabinets for paper and microforms do not provide sufficient protection for magnetic tapes, disks and diskettes, since the ignition point of paper and microfilm is much higher than magnetic media. They need to be stored in vaults that hold the temperature extremely constant during a catastrophic fire. Paper is destroyed at 400 degrees, whereas computer media is rendered useless at 125 degrees and 80 percent relative humidity. Basic lack of awareness leads to the destruction of many vital records, documents and media in catastrophic fires. Most individuals don't understand the difference between a fire rating and a classified fire rating. A nonclassified fire rating simply means a vault will protect the media stored inside it for at least two hours. A classified rating means the product has been tested and classified by UL or another independent testing lab. UL is the best, as no other testing and standards organization matches its reputation. Tenants should understand how imperative it is to seek products tested by a nationally recognized lab. They should steer clear of equipment with manufacturers' or nonclassified ratings. One "trick" to watch for is the product that claims to be "built to" a certain UL-class specification claim. This is marketing- driven wordplay, pure and simple, and it leads the customer to falsely believe he is getting a UL rating. In reality, it's just the manufacturer's dubious claim. UL has never tested it, and how it will stand up to a real fire is anyone's guess. The top vendors in the industry offer well designed, attractive media-rated safes, fire resistant file cabinets and safes for onsite records protection. You can readily find this equipment at your local office products dealer, in most office products catalogs or, increasingly, on the Internet.